"This imaginative and exciting story feels like the start of something big. The brilliant premise unfolds into a thrilling first book that has me impatient for the next one." --Brandon Mull, #1 New York Times bestselling author of Fablehaven and Dragonwatch When long-dead magical creatures are discovered all around the world, each buried with a book of magic, only children can unlock the dangerous power of the books in this start to a thrilling new series from the author of the New York Times bestselling Story Thieves Thirteen years ago, books of magic were discovered in various sites around the world alongside the bones of dragons. Only those born after "Discovery Day" have the power to use the magic. Now, on a vacation to Washington, DC, Fort Fitzgerald's father is lost when a giant creature bursts through the earth, attacking the city. 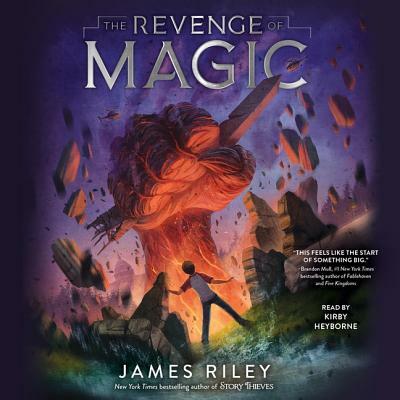 Fort is devastated, until an opportunity for justice arrives six months later, when a man named Dr. Opps invites Fort to a government run school, the Oppenheimer School, to learn magic from those same books. But life's no easier at the school, where secrets abound. What does Jia, Fort's tutor, know about the attacks? Why does Rachel, master of destructive magic, think Fort is out to destroy the school? And why is Fort seeing memories of an expelled girl every time he goes to sleep? If Fort doesn't find out what's hiding within the Oppenheimer School, more attacks will come, and this time, nothing will stop them.